White Gold over Caribou 2017 Ford F350 Super Crew Lariat Ultimate FX4 Dually 6.7L Powerstroke Turbo Diesel. 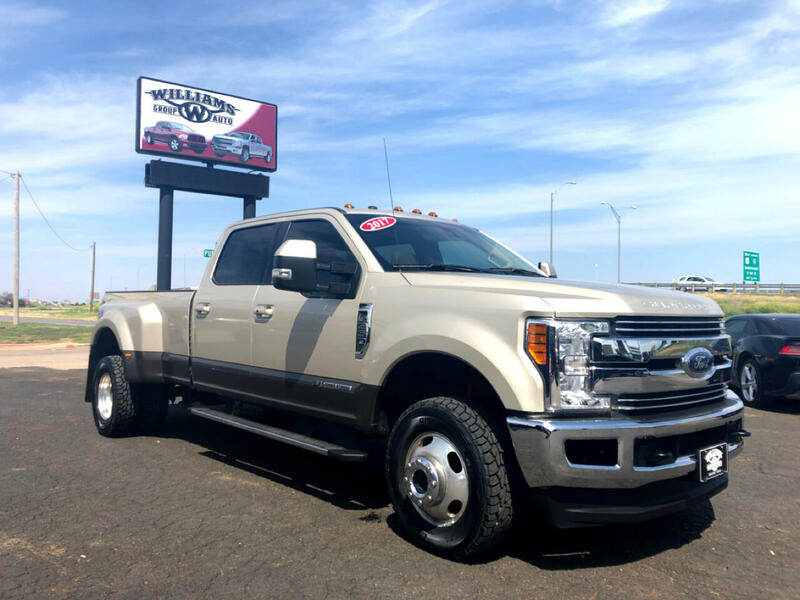 Brand New Tires, Heated and Cooled Leather, Navigation, Panoramic Sunroof, Sync, Push Button Start, Remote Start, 110V Outlets, Power Pedals, Factory Hitch Prep Package, Running Boards, Power Tow Mirrors, Power Tailgate, Tailgate Step, and more! Message: Thought you might be interested in this 2017 Ford F-350.